The 3rd map update to THEMAP is now available for free. Follow instructions below to download the update. Get directions with Google maps now goes directly into the Google Maps app, rather than opening up google maps in the safari browser. Fixed an issue where Enter coordinate or enter name fields does not hide when the keyboard is dismissed. Increased performance when displaying long tracks on raster map layers. We would like to thank you guys for giving us excellent feedback so we can improve Mud Map 2 for everyone. The 2nd map update of THEMAP, Australia is available for free now. Follow these instructions to download the update. The first map update of THEMAP, Australia is available for free now. Follow these instructions to download the update. 1. Start Mud Map 2 on your iPad or iPhone. 2. Go to Menu > Maps > Download Maps. 3. Under "vector map" category, you should see THEMAP - Australia 04 May 2013. 4. Tap Options > Download. then following the on screen prompts to download the map update. 5. Once downloaded THEMAP can be used offline, no connectivity required. THEMAP is made by a community of 4WD enthuriests just like yourself. Thank you to all those individuals that contributed data in April. Thank you from all of us in the community. Join the mapping effort, click here to learn how to get involved. 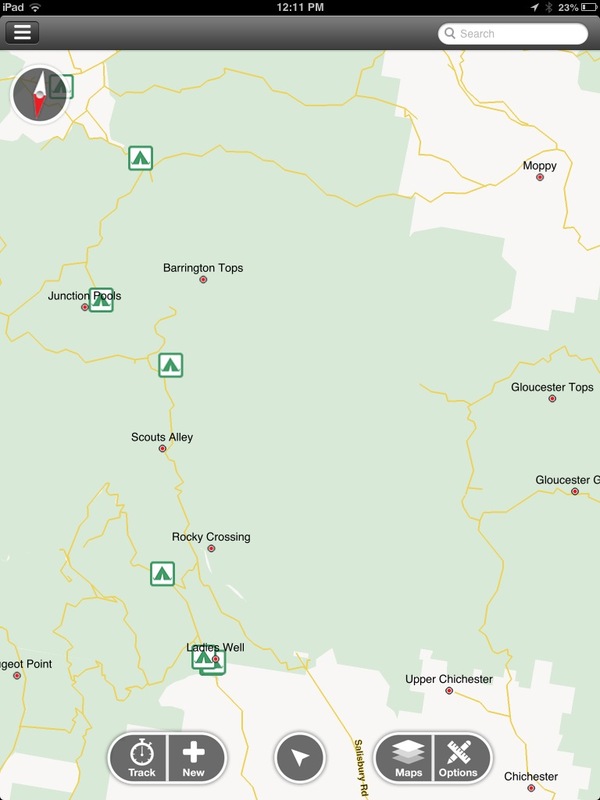 Check out the BEFORE and AFTER shots for the Barrington Tops NP. A significant improvement has been made to POI information and tracks in the area. A big shout out to everyone that has contributed to map data this month. A special thank you to our good mate Nathan Van Der Meulen for all of his hard work and excellent contribution. Over the past 12 months, we've received an increasing number of requests for Mud Map on Android. Majority of the feedback focuses on why we don't have a 4WD GPS app for Android, the most popular mobile platform in the world. The numbers speak for themselves, 72% of smartphones sold in Q4 2012 are running Android. This undoubtedly presents an excellent opportunity for Mud Map to expand our GPS navigation app to the Android platform. The main reason in the delay of Mud Map in releasing an app for the Android platform lies in our core values as a company. At Mud Map we believe in challenging the status quo, and raising the bar. Everything we do, we do to the best of our abilities and we try to innovate with every opportunity. For the past 2 years, we have been working on exciting technologies that will revolutionise the way maps are made and used, how trips are planned and shared, and what we expect from our Off-road GPS. We believe these innovations will change the way we plan, navigate and share our adventures. By focusing all our efforts on a single platform, our small team has been able to develop these awesome features to the highest standard. These features will first appear in the iOS app in 2013 and will provide customers with an even more user friendly, powerful and integrated experience. Once these features are complete and working well on iOS, we plan to shift our focus to and create an Android App of the highest calibre. We did not want to release an Android App of a poor quality simply for the sake of trying to capture market share. When we do release an Android App, we want it to live up to the standard the we have set for ourselves and that people expect from us. We look forward to developing a Mud Map Android App that we can be proud of.